I’m not sure, maybe it’s because it is my profession, my livelihood, that I prefer the term “drapes” to “curtains”. 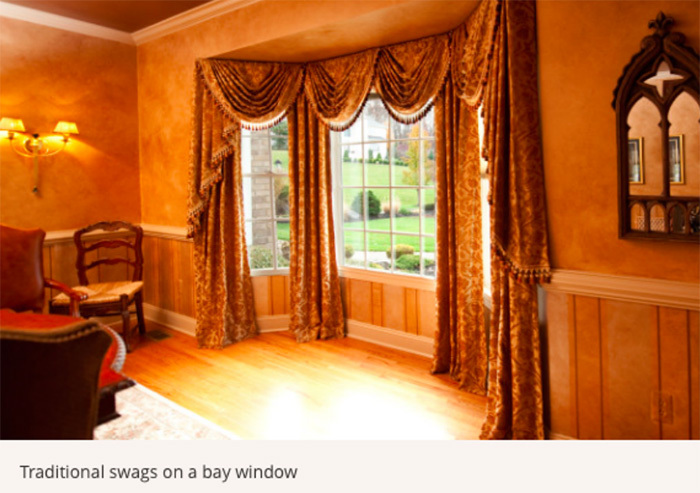 Some might say, oh, potato, potahto, but to me, curtains remind me of what my dear friend and esteemed New York City designer, Vince Lattucca, once referred to as “schmatta”. The first time he used the word I had never ever heard it before. We were measuring one of our first projects together and his client questioned him ”what kind of curtains am I getting”? Vince whipped his head around and barked, “Darling, we are designing a custom drape for you, not a schmatta”! Well you can be sure that both that surprised client and me knew exactly what he meant! Sadly, Vince is gone but often after the install of another gorgeous drape, I smile, thinking of Vince, and say to myself, “Yup, this is a drape”. Swags and cascades embellished with tassel trims. By Window Works. Photo by Wendy Robinson. 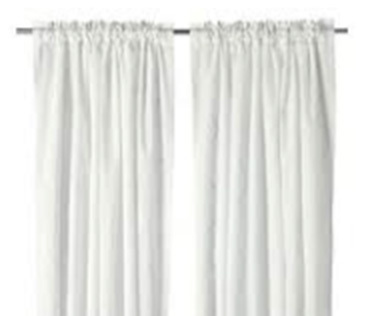 Luxurious, traditional tie back drapes adorned with bands of trim and the panels puddled on the floor. By Window Works for Sussan Lari Architects, PC. 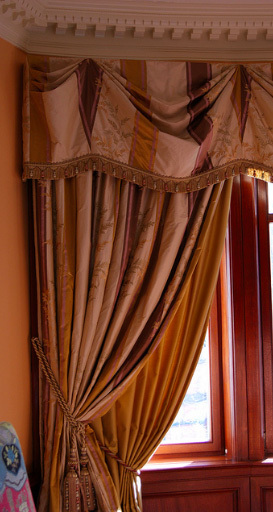 Kings Valances, layered with sets of custom drapes. 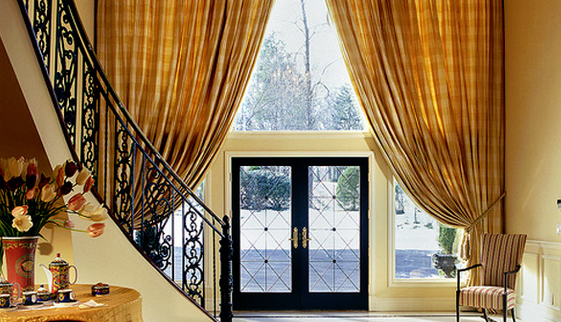 Custom tie back drapes play up the drama in this grand foyer. Learn more about custom Window Treatments here.